Cherry Mobile Flare J1 Plus Now Available, Runs With Marshmallow OS For 2599 Pesos Only! Home / cherry mobile / mobile / news / Cherry Mobile Flare J1 Plus Now Available, Runs With Marshmallow OS For 2599 Pesos Only! 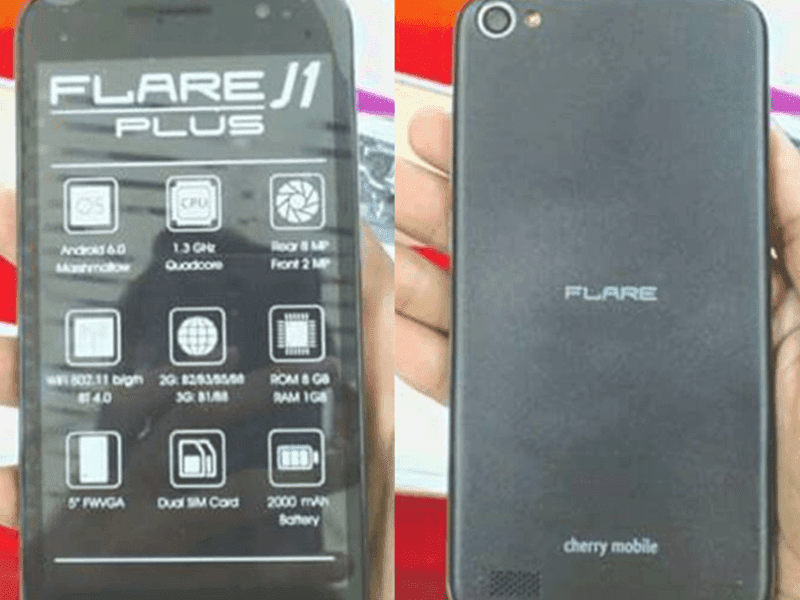 Aside from the Omega Lite 2 and Revel, Cherry Mobile also silently launched the Flare J1 Plus. It's the most interesting among their new budget phone as it runs with the latest Android 6.0 Marshmallow OS. The Cherry Mobile Mobile Flare J1 features a 5 incn FWVGA screen with a resolution of 854 x 480 at 196 ppi, runs with an unspecified 1.3 GHz quad core processor, Mali 400 GPU, 1 GB RAM, 8 GB expandable internal storage and ample 2,000 mAh of battery capacity. It also goes with an 8 MP main camera w/ LED flash for your casual snaps and a 2 MP front facing camera. It's also complete with WiFi, 3G, Bluetooth 4.0, GPS, A GPS and dual SIM card slots. The best part here is the price, the Cherry Mobile Flare J1 only retails for 2,599 Pesos which is now available in their kiosk.